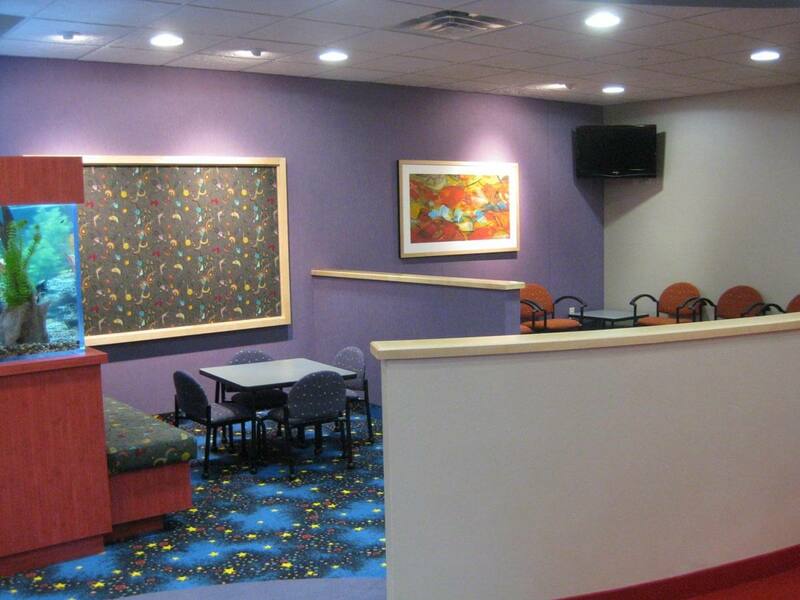 The primary goal when designing this clinic was to create an environment where young patients would feel at ease and providers could function efficiently. 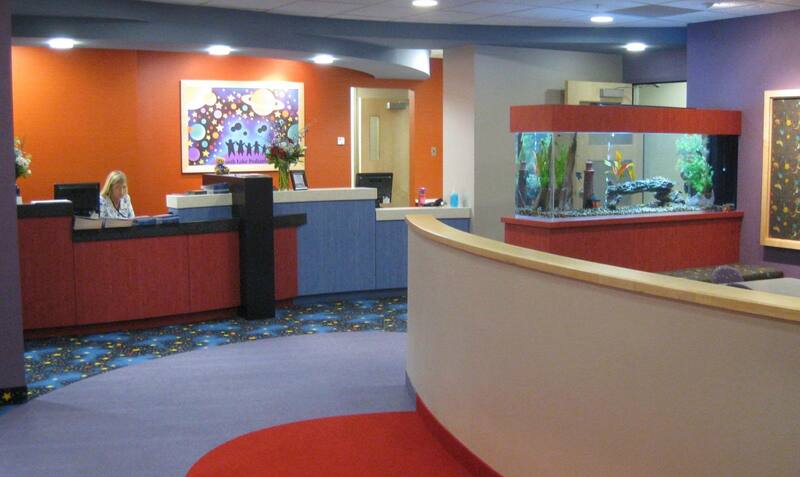 The interior design played off of the South Lake Pediatrics brand which incorporates a lunar theme. The lunar patterned carpet and custom designed logo which have been used in all previously designed clinics for this client, were incorporated into this new clinic build out. 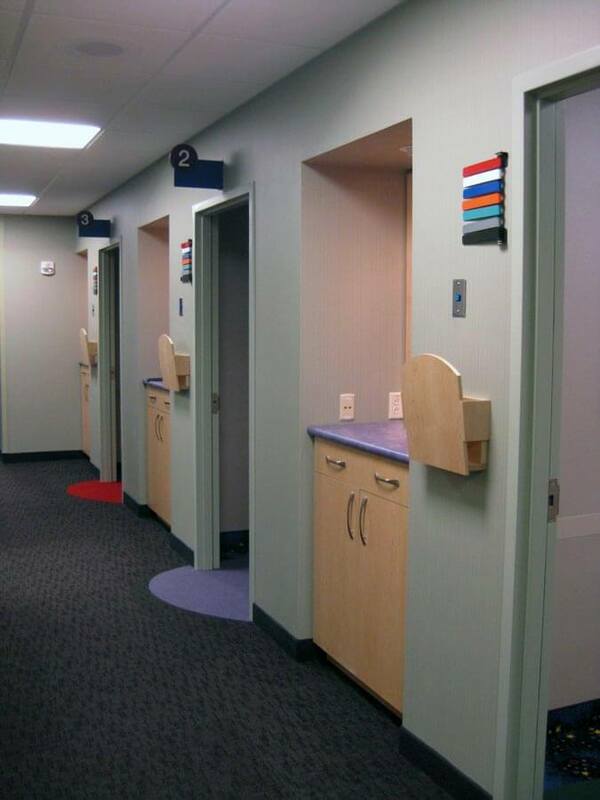 The clinic was planned with a double loaded corridor system in which all exam rooms were located on an exterior window to take advantage of the natural lighting and views.